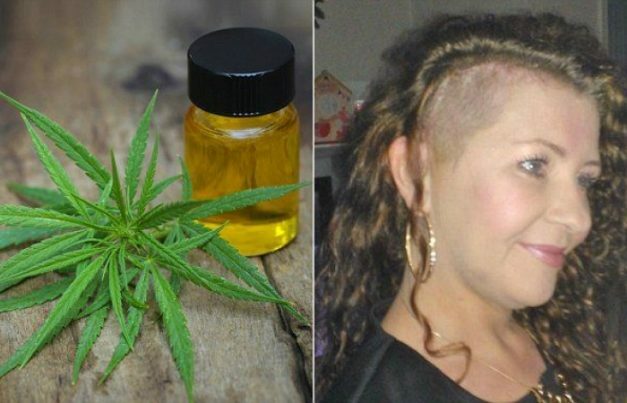 A woman diagnosed with an incurable brain tumour has credited cannabis oil for making her cancer-free. Lynn Cameron was told she had just ‘six to 18 months’ to live and was devastated when chemotherapy and radiotherapy were failing to reduce the deadly mass. The 48-year-old began desperately researching alternative medicines and diets in a desperate bid to survive. After she opted to try the oil when a friend suggested it, a scan later revealed the cancer had disappeared. Lynn, from Blantyre, in South Lanarkshire, Scotland, told the Daily Record: ‘I found it hard to believe that it would cure brain cancer so advanced. ‘Each scan I received after that was showing an improvement. Lynn is one of a number of patients providing anecdotal reports that medical cannabis oil has improved their outlook. 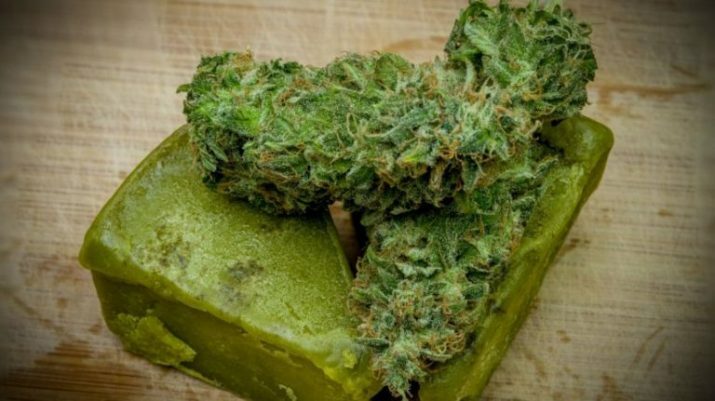 Studies suggest cannabis compounds may kill certain malignant cells in the lab. But experts warn there is no definitive proof yet of its effects on cancer in humans. Olivia Newton-John’s daughter recently revealed that her mother will be treating her second breast cancer diagnosis with medicinal marijuana, along with traditional treatment. Lynn had a sudden seizure in November 2013 and when a scan showed a tumour, she was taken straight into Southern General Hospital in Glasgow. 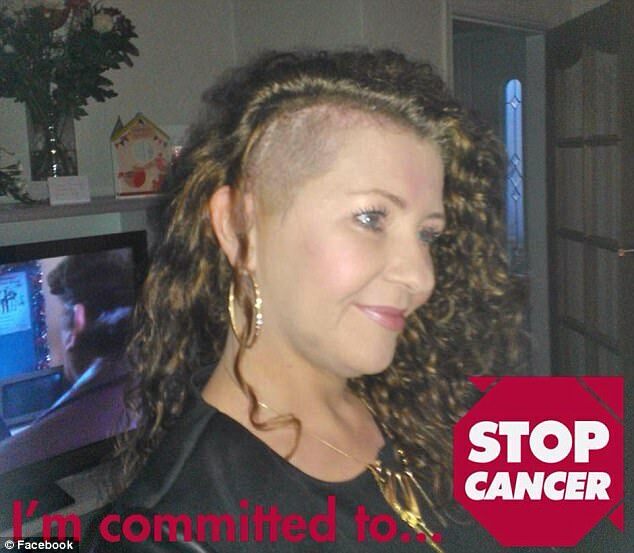 She had an operation on December 16 but a week later doctors told her they hadn’t been able to remove it all and her cancer was stage 4 and terminal. So she began researching into natural therapies, trying an alkaline diet and cutting out processed foods and sugar. She said that when she first read about cannabis oil she was sceptical that it could cure brain cancer as advanced as hers. But after several sessions of chemotherapy and radiotherapy showed no changes on her scans, she thought ‘I’m going to break the mold here and try that’. Lynn said she ingested it under her tongue so that the active ingredients would get straight into her blood stream. Lynn said she had kept her use of cannabis oil from doctors, but revealed it to them after she got the all-clear. However, she says they dismissed it and believes they weren’t taught about cannabis at medical school. Now, almost four years after her diagnosis, Lynn is healthy and still in remission. A compound in cannabis is ‘significantly’ effective in destroying cancerous tumours in leukaemia, research suggests. A new study found that combining existing chemotherapy treatments with cannabinoids – the active chemicals in cannabis – had better results than chemotherapy alone. The findings suggest that a lower dose of chemotherapy can be used on patients, minimising side effects of the treatment, say researchers. Furthermore, scientists discovered that order the treatment was administered was crucial – using cannabinoids after chemotherapy resulted in a greater death of the blood cancer cells. And now she is part of a new campaign group, Medical Cannabis Reform Scotland, which is pushing ‘for the reform of the current prohibitive laws around the use of cannabis for medication’. Cannabis oil is made up of tetrahydrocannabinol (THC) and cannabidiol (CBD) – the two primary ingredients in the plant. It can either be orally ingested, vapourised or applied directly to the skin. 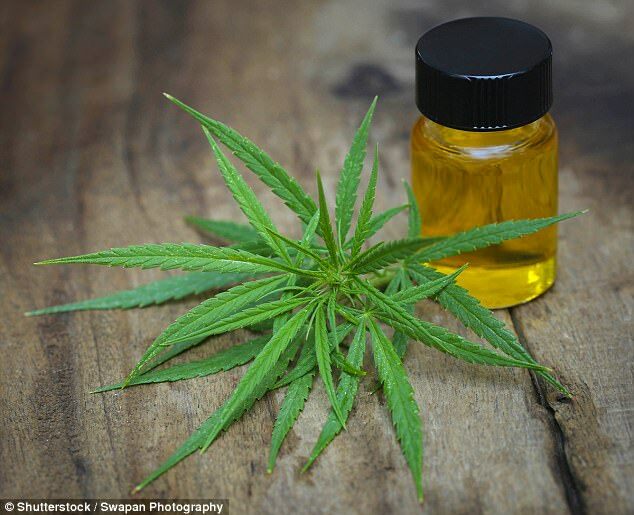 CBD is now considered a medicine by the UK’s regulatory body, the MHRA, after it was found to have a ‘restoring, correcting or modifying’ effect when given to humans. While THC – which is responsible for the high – was found to help relieve pain in patients in a study by University of California researchers in 2012. The ruling means cannabis-based products can be sold legally in the UK and manufacturers will have to ensure they pass safety checks. However, Dr Kat Arney, from Cancer Research UK, said that while study findings have been promising, cancer patients should not get their hopes up. She previously said: ‘We know that cannabinoids can have a range of different effects on cancer cells grown in the lab and animal tumours.